Happy Fall! 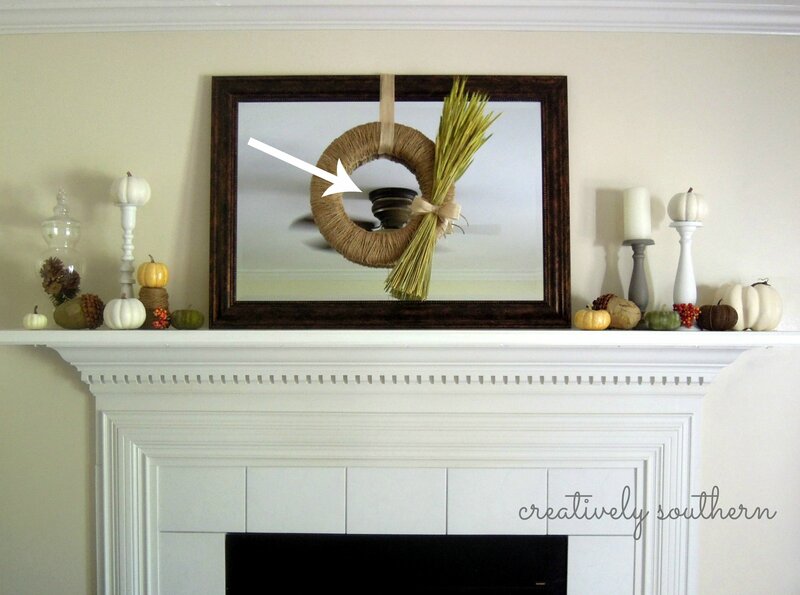 For over a year now, there’s always been a mirror above the mantel in the small, but quaint living room of our house. I always thought it helped to make the room look bigger. But over time I got tired of only being able to see the ceiling fan in the mirror. And it wasn’t too picture friendly either. No matter what angle I tried to shoot from, it was there. I can hide cords, toys, dog bowls, and piles of mail, but I can never get rid of that ceiling fan. So let’s take a poll here… how many of you put away your Halloween decorations this weekend and started pulling out Christmas? 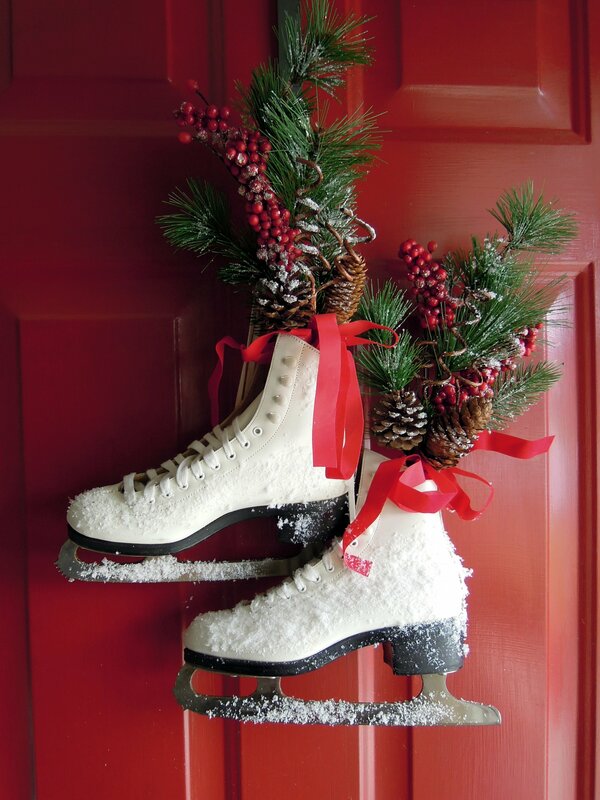 Are you still all Fall decorated? While the sight of those sparkly Christmas decorations in the stores has me all twitterpated and ready to deck the halls, I’m resisting the urge to pull out the tinsel just yet. Well, at least some of it. 🙂 But along with packing away the Halloween decorations, I realized this house was in need of some major fall clean up! 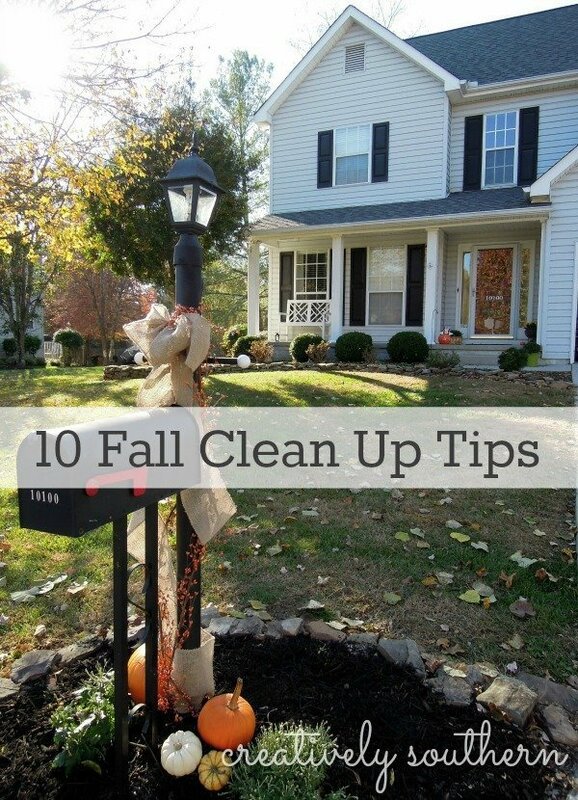 I’m going to share 10 quick and dirty Fall clean up tips to help get you and your home ready for the upcoming winter season. Oh and I’ll be sharing some pics of our fall decor that I’m managing to hang onto for at least a few more weeks. With the weather really cooling off this weekend, I decided it was time to break out the hot cocoa and marshmallows! 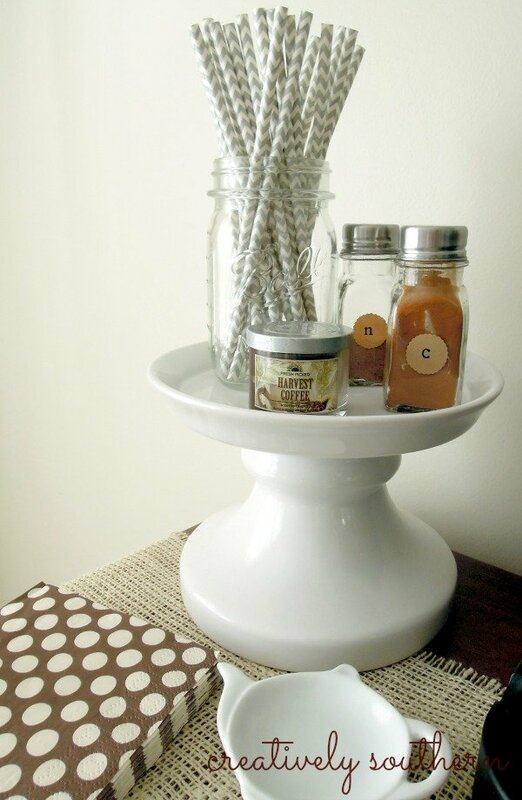 That’s when the idea finally came to me for a hot beverage bar! Back at the beginning of the year when I made all those home goals, one of them was to create a more functional space in the dining room. Seeing as how we rarely use the dining room for it’s intended purpose, the buffet hardly ever sees a morsel of food. So what better function than to turn it into a hub for hot cocoa, coffee, and tea! 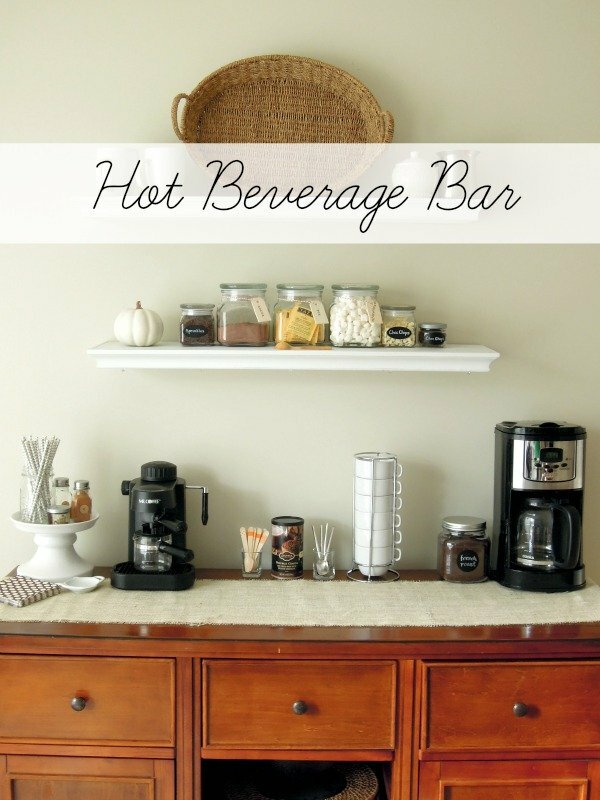 Read on for tips on how to create your own hot beverage bar!